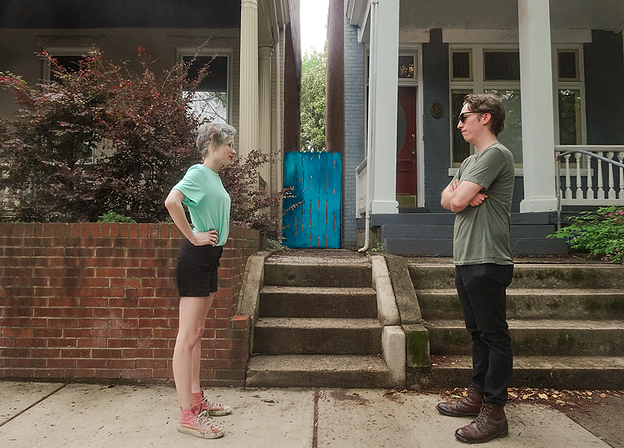 RICHMOND, Va. — Following ongoing disputes between Floyd Avenue neighbors Michelle Lytle and Benjamin Parker regarding land sanctions, parking spaces, and excessive noise overflow, reports indicate that leading officials have declared their shared alleyway as the “demilitarized zone” (FAN DMZ) between the apartments. The alleyway, located on the 2300 block of Floyd and measuring approximately 3 feet in width and 41 feet in length, has been mutually agreed upon as the official “border” between apartments. It will be used by both apartments for travel and trash removal; however, it is expected to remain a very precarious area, as a permanent truce between the neighbors has not been reached. On the other side of the border, Lytle says that most of the conflicts have been perpetrated by Parker and that she hopes the established FAN DMZ is the first step towards peace on the block. The border will extend from the front sidewalk to the land behind the apartments, which has been established as the “Joint Backyard Meeting Land.” The area is expected to be used by the neighbors for occasional talks that will hopefully bring peace back to the block. Charlie Brackett, the speaker of the Museum District Treaty Organization, says he approves of the boundary and encourages the two neighbors to use the shared area in a respectful manner.